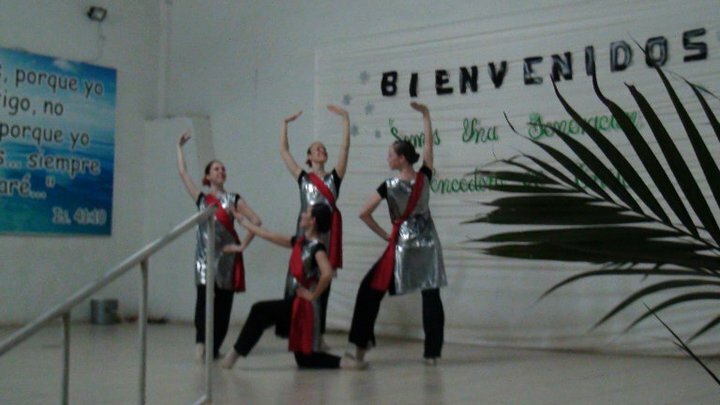 LIGHT OF THE WORLD BALLET COMPANY: Mission Peru!! 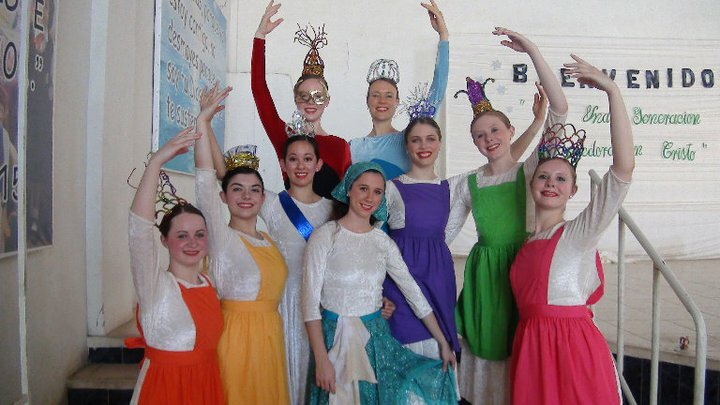 LIGHT OF THE WORLD BALLET traveled for the first time to South America on its seventh mission trip. 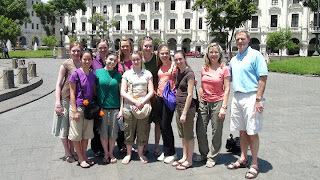 Our team of eleven flew into Lima then flew to northern Peru to the region of Piura. Our host, Pastor Jon Edwards, an American missionary living in Peru for 12 years, is associated with Betesda Lifeline Network and serves with Pastor Julio Cavassa and his wife, Janet. 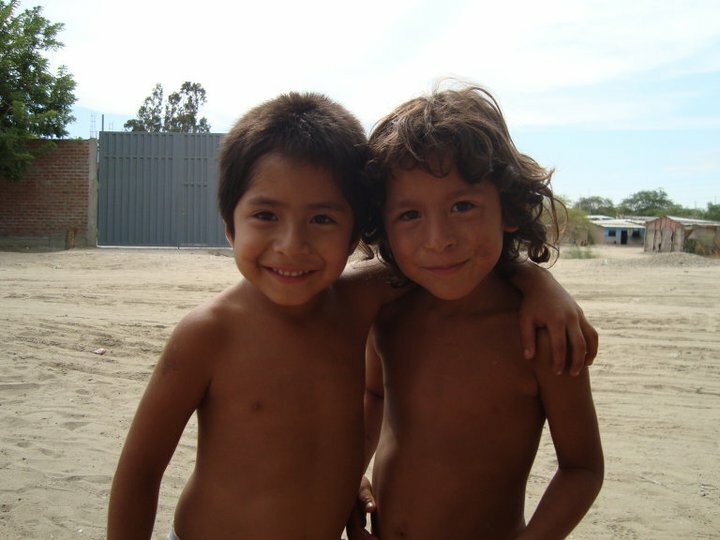 Their focus is to bring people to the Lord and help them overcome poverty and face today's challenges. Ps. Julio pastors Betesda church and is developing a training center. The challenges Betesda is working to improve is the 21% illiteracy of women and violence towards them, the 49% of household heads with only an elementary education, and training and encouraging area pastors. Ps. Jon and Ps. Julio with their family showed such hospitality and organization making this a smooth -running endeavor. They provided the team many opportunities for ministry time, relationship building, numerous performances and preaching opportunities in a variety of venues. We saw over 60 salvations! 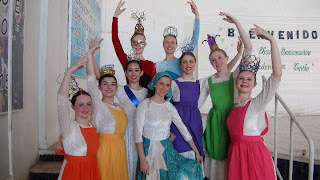 narration of LWBallet's story ballet "The Crown" was re-recorded in Spanish for this trip. The performances gave a deeper meaning to God not looking for our good works but for our hearts. The performances were enthusiastically received and prepared the way for Dave's preaching about identity in Christ. We saw salvations and hearts touched. Ashley shared and challenged the audiences with their walk with the Lord. Many dancers on the team had the opportunity to give their personal testimonies to the audiences. There were short performances in public squares where crowds easily gathered. Also there were two school performances (17 saved) with an opportunity to visit school rooms to meet with the students. It was at the school where the first salvation occurred with a 17 year old student with Dave. Later that week he came up to Dave saying, "I have Jesus in my heart." There were other performances and preaching in four churches, a mother-daughter dinner, and a pastor's conference. While dancing in the town square, we met the governor of northern Peru who took the time to promote one of our large municipal performances. There was radio coverage and magazine photos taken. A truly divine appointment which opened the way for about 500 to attend the performance & approximately 40 raised their hand to receive Christ! There was a precious mother-daughter dinner where 50 squeezed into Betesda church and Pat taught on relationship and the power of life and death in the tongue. They enjoyed the ballet company's dances and a drama. 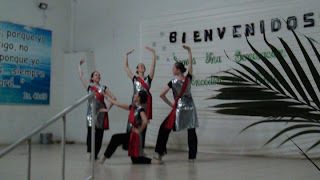 The mothers and daughters were led together in creative worship with the dancers. Our team was able to connect with the people of the surrounding area of the Betesda church several times by a walk in the neighborhood and at gatherings at the church. Even though there was a language barrier, the people made it so easy with their incredible warmth, affection and eagerness to be with us. Dios Le Bendiga (God bless you), Peru! Thank you all for your prayers and support for this mission. With our love & gratitude we give thanks to the Lord for you!